Our signature fragrance - the same one that wafts through our stores - spreads its intoxicating scent in your home. Lasts up to 3 months. 5.07 fl. oz. 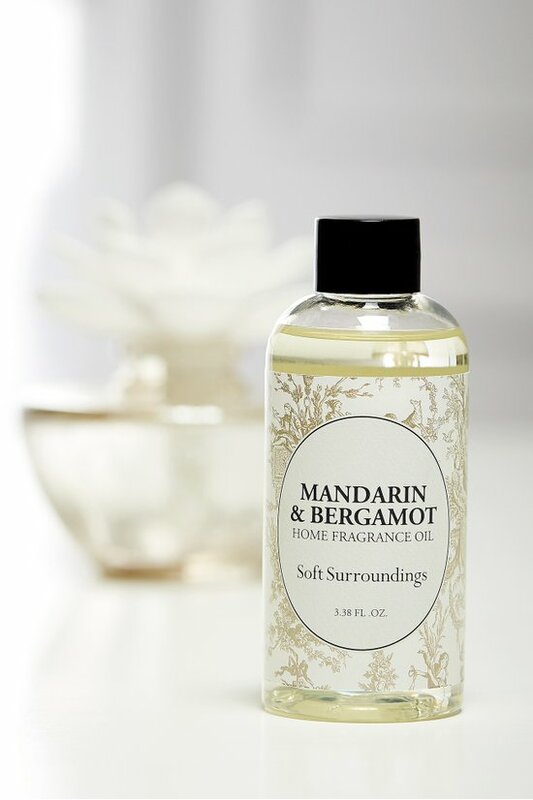 Top notes of zesty Sicilian mandarin orange and Italian bergamot are blended with alluring night-blooming jasmine. It finishes with the earthy essence of patchouli and a whisper of luscious vanilla bean. We first created this captivating scent to aromatically accessorize our stores. It was so popular we bottled it to create the same feeling in your home. Unscrew cap and pour into the Soft Surroundings Peony or At Home Diffusers (sold separately).